This 21 day self drive tour is definitely the most comfortable option to see all the places of interest in Namibia and Botswana. 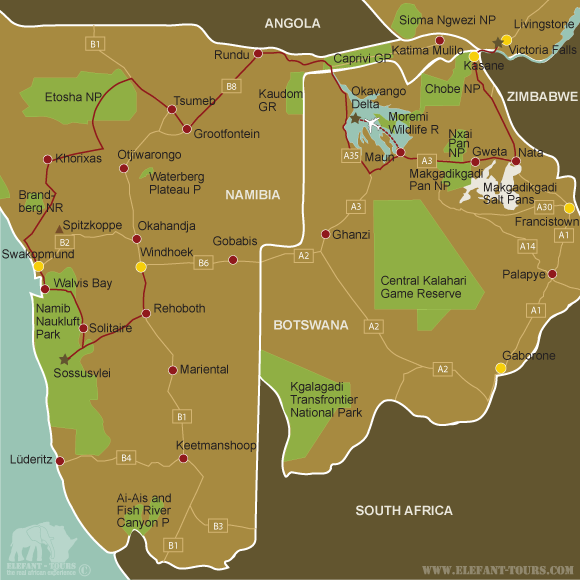 From Windhoek you travel via Sossusvlei and Swakopmund to the Etosha National Park. You will continue through the Caprivi Strip and cross the border to Botswana where you will do a two-day fly-in safari into the Okavango Delta. After enjoying the stunning views of the delta the journey continues past the large saltpans of Makgadigadi. 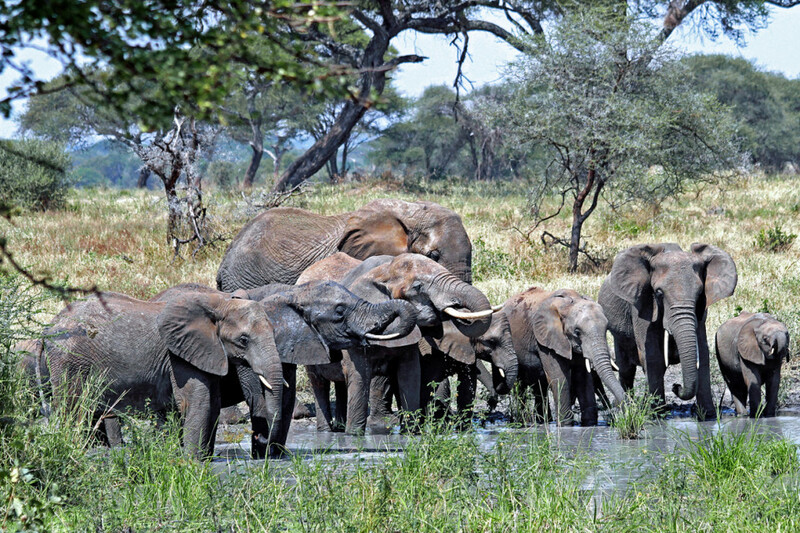 In the Chobe National Park you will be able to watch numerous elephant herds coming to drink at the river before you end your tour with a visit to the impressive Victoria Falls. We have visited all the below mentioned lodges, guesthouses and camps and can therefore recommend them first hand. In order not to only “tick off” all the points of interest but to actually learn more about the visited places, the country and its people, we do not book our clients into big and anonymous lodges, hotels and resort. Instead of the huge impersonal tourism establishments we offer you owner-managed guesthouses and private lodges where you have a better opportunity of getting to know more about your destination, while interacting with the staff and owners. After breakfast you leave Namibia’s capital behind and drive in a southerly direction, via Rehoboth and the Remshoogte Pass. You drive to Sesriem, the gateway to the massive dunes of Sossuslvei and then make your way into the dunes where you will witness the astonishing play of light and shadow during sunset. You will overnight at the Desert Camp where you have the choice of either self-catering or should you wish to have breakfast and dinner, you can do so at the Sossusvlei Lodge (on request the accommodation can also be booked on a half-board basis). At sunrise the gates of the national park open and you make your way into Sossusvlei. You will park your vehicle and walk into the dunes. Alternatively you can also make use of a 4x4 transfer. You can hike one of the dunes; some reach a height of almost 300 metres. From the top you will have an impressive view of the entire landscape. Thereafter you continue to the Sesriem Canyon where you can also hike in the dry season. 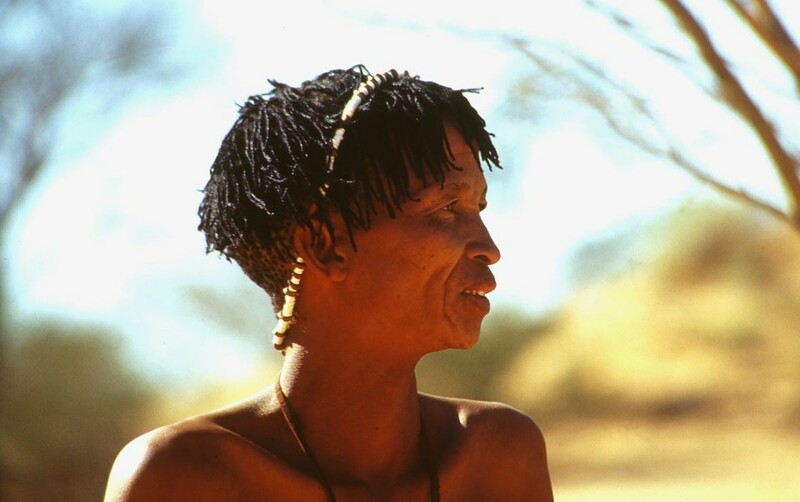 If you want to learn more about the desert, you can book a guided desert walk at Sossusvlei Lodge. You will overnight at the Desert Camp. Today’s journey takes you to Swakopmund, the German city of Namibia. The city is still home to many descendants of the late colonists and state officials of the German colonial era. German cake, German architecture (the old state station and the old court house) as well as the often spoken German language are a reminder of the olden days. Swakopmund is also a great starting point for all the adventure activities that are on offer in the region as well as for a daytrip to the seal colony at Cape Cross. You will spend two nights at the Cornerstone Guesthouse. There are quite a few different restaurants for you to try out during your stay in Swakopmund. You continue your trip and drive via Outjo, where you can stop at a German bakery to buy some goodies en-route to the Vreugde Guest Farm. On this typical Namibian farm, you can get to know the typical daily life and enjoy some “south-western style cooking”. Vreugde is the ideal stopover before you head to the Etosha National Park. You will overnight at the Vreugde Guestfarm. Today you will enter the famous Etosha National Park at the Anderson Gate. The national park was founded in 1907 and is one of the most attractive national parks in Southern Africa. The Okaukuejo Rest Camp is the perfect starting point for game drives in the western and central part of the national park. In the coming days, you will spend most of your time game viewing around the waterholes where elephants, rhinos, giraffes and different species of antelope come to drink. With a bit of luck you might even be able to spot lions and leopards. In order for you to experience the nocturnal wildlife you can opt to join a night game drive (optional and not included in the price). You will overnight at the Okaukuejo Rest Camp. The rest camps in the Etosha National Park are owned by the government and although the accommodations underwent major renovations in 2007 to celebrate the 100th Birthday of the national park, they are still maintained and looked after by state employees which are sometimes not as enthusiastic about their work as we wish they were. The accommodations are mostly clean but by no means luxurious. There are however more luxurious lodges outside of the park where you can spend the night and then do a day trip into the national park. Should you be interested in this option, please let us know and we will gladly amend our offer accordingly. After sunrise and a hearty breakfast you get ready for some more game-viewing. On your journey along the saltpans that extend themselves for kilometres into the east, you will be able to spot herds of impalas, gnus, oryx and zebras that traverse the Etosha National Park. In the evening you exit the park at the Van Lindequist Gate and make your way to the Mushara Bush Camp where you will overnight. Today’s journey takes you via Tsumeb and Rundu into the Caprivi Strip, which was “attached” to “German South-West Africa” in 1890 in order to give Germany access to the Zambezi River and “German East Africa”. For many years the Caprivi Strip was not accessible to visitors as the border disputes between Namibia, Angola and Botswana made it unsafe for travellers. However this long lasting inviolacy is what makes this region of Namibia so attractive for visitors. The Nunda Safari Lodge is situated on the banks of the Kavango River and after spending your time in mostly very dry parts of Namibia you will definitely be looking forward to the green and lush landscape that awaits you here. 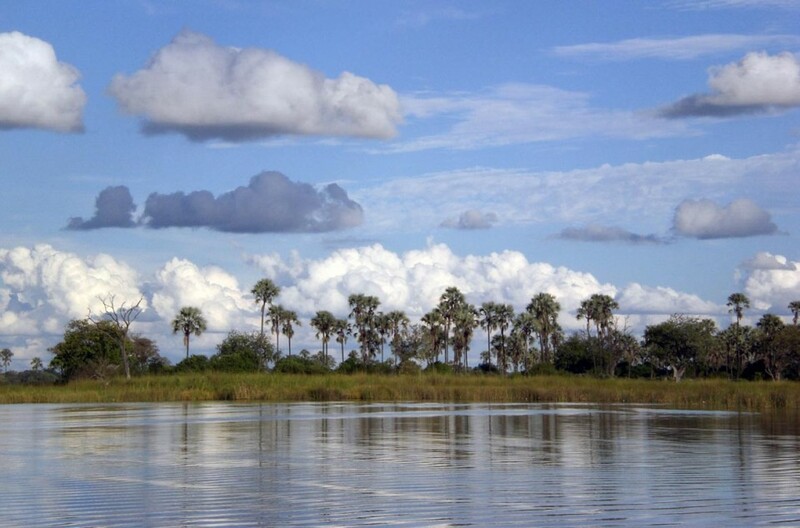 The following day you can go on a boat trip on the Okavango River or explore the Mahango Game Reserve (only possible with 4x4 vehicle or on a guided tour). You can also visit the local villages and people to learn more about the culture and way of life. You will overnight in luxury tents at the Nunda Safari Lodge. After breakfast you cross the border to Botswana and drive via Etsha and Sehitwa along the pan-handle to Maun. In the afternoon you can either relax at the lodge or stroll around the centre and the few shops that Maun has to offer. You will overnight at the Thamalakane River Lodge, situated directly on the banks of the Thamalakane River. You drive to the airport where you park your car and board a light-aircraft for your flight transfer to the Okavango Delta. During the flight you can enjoy the breath-taking view over the largest inland delta in Africa, which is home to many different species of wildlife like antelopes, elephants, wild dogs, lions and many more. Furthermore the delta is a paradise for bird watchers. During your time in the delta you go on Mokoro excursions or on bush walks. You will also go on game and night drives. Both nights will be spent at the Pom Pom Camp (all activities in the Okavango Delta are included in the price). With lots of new memories you board the light-aircraft for your transfer back to Maun. During your return flight you can once again enjoy the wonderful view over the delta. You will spend another night at the Thamalakane River Lodge. You make your way to Nata and then to your destination for today, the Nata Lodge which is also the starting point for excursions to the Nata Bird Sanctuary, Sua and Ntwtwe Pans (all are only accessible with a 4x4 vehicle or on a guided tour). The pans consist of endless vast saltpans, wildlife rich grassland, mysterious “islands”, ancient baobabs and numerous well worth seeing sanctuaries. On a guided tour you can drive into the pans (the tours depart around lunchtime) and with some luck you will be able to see pelicans and flamingos. You will overnight at the Nata Lodge. Today’s journey takes you in a northerly direction to Kasane, where you check-in at the Chobe Bakwena Lodge. Thereafter you return your rental car at the rental location in Kasane (depending on the car rental company, the vehicle can also be picked up at the lodge). The Chobe Bakwena Lodge is situated on the banks of the Chobe River near the village of Kazangula and comprises of 10 rondavel style chalets under the surrounding Acacia trees. 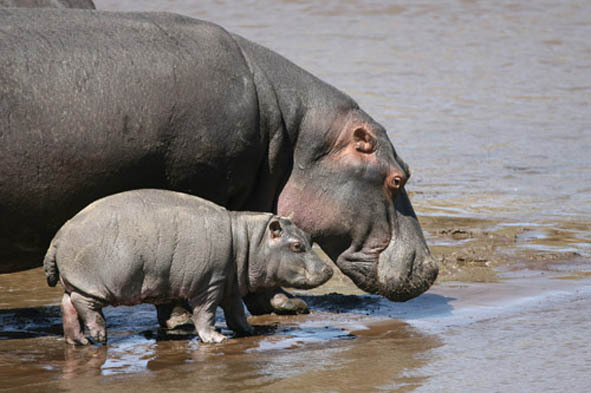 It is the ideal starting point for your activities in the Chobe National Park. With more than 40.000 elephants, the Chobe National Park is probably the park with the highest density of elephants in Africa. During the river cruises, you are most likely to see crocodiles, hippos, elephants, as well as other animals that come to the river to drink. On the game drives you will search for the large herds of elephants as well as all the other wildlife in the park. You will spend two nights at Chobe Bakwena Lodge. After your morning game drive in the Chobe National Park you are picked up at the Chobe Bakwena Lodge and are transferred to Victoria Falls where you will spend two nights at the Ilala Lodge close to the Victoria Falls. You will visit the Victoria Falls, also known as “Mosi oa Tunya”, which means the smoke that thunders. There are a number of activities available here and you are spoilt for choice. You can stroll along the Falls, do a sunset boat cruise on the Zambezi or fly over the Falls in a microlight plane. The more adventurous among you can go white water rafting or bungee jumping from the highest bridge in Africa. You are transferred to Victoria Falls Airport for your flight via Johannesburg or Windhoek to your home destination, where you will arrive with a lot of new impressions and good memories. How safe is a self-drive tour in Namibia & Botswana? - In general Namibia and Botswana are not a lot more dangerous than other countries in the world. Most crimes and acts of violence take place in the townships of bigger cities. Public areas around shopping centres, restaurants, banks etc. as well as the countrysideare very safe. Nevertheless you should stick to a couple of rules to avoid risky or dangerous situations. This includes staying away from dodgy areas, walking in the dark, carrying a lot of cash or expensive cameras on you, wearing flashy jewellery and leaving bags or valuables in the car. What is the infrastructure like (road conditions, shops, petrol stations)? 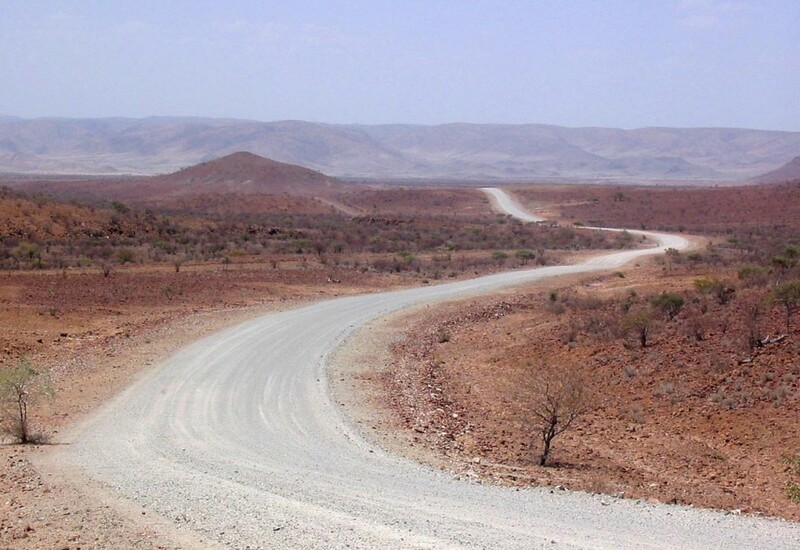 - Although Namibia and Botswana generally have a good infrastructure, the roads are not always in the best condition. Most of the roads are good gravel roads and only the highways and a couple of the main roads are tarred.In Botswana you will also have to look out for animals on or next to the road and we therefore urge you to drive with caution. - Petrol stations can be found alongside all major routes and highways as well as in cities/villages. - In cities and villages there are more than enough different and well-stocked shops available. Many petrol stations also have a little convenience shop. - In Southern Africa vehicles are right-hand drives hence driving is done on the left-hand side of the roads. Do I need an international driver’s licence? - According to the law, all you need is a valid driver’s licence which has been issued in English and has a photo thereon. If your national driver’s licence has not been issued in English or does not have a photo, you need an international driver’s licence. - As per the terms and conditions of the rental car companies, only a valid national driver’s licence and a credit cardis required. - In most of Namibia’s national parks, the roads are tarred or good gravel and all are accessible to rental cars. Please however take note that you have to stick to the rules of the national parks at all time. These include: remaining in your vehicle unless you are in a designated area, sticking to the speed limit of 60 km/h on tar roadsand not littering. - In the Etosha National Park, guided game drives in open safari vehicles are available and all activities are accompanied by a professional ranger. - A 4x4 vehicle is required to enter the national parks in Botswana and in the Caprivi. If you are not travelling with a 4x4, you can book guided game drives at the accommodation you are staying at. - Along with your travel documents you will receive a voucher that includes detailed directions and contact details for all the pre-booked accommodation. - Some rental car companies provide road maps but as not all of them do, it is advisable to bring a good map with a map scale of at least 1:1,5 mill. with you. - Breakfast usually consists of a full English breakfast and cereals, toast, cheese, jam, fruits, juices, tea, coffee. - Since most of the days are spent on the road or in the national parks, lunches have only occasionally been included. - At places where you can cater for yourself or have a variety of restaurants to choose from, dinner has been excluded. On days when it’s recommendable to dine at your accommodation, dinner has been included. In these cases dinner usually consists of a set menu with local meat, vegetables and rice or potatoes dishes. What about the money matter? - You can either exchange your own currency for Namibian Dollar/Botswana Pula at one of the exchange bureaus at the airport or in town or you can go to an ATM and draw Namibian Dollar (in Namibia) or Botswana Pula (in Botswana) at the current rate of exchange. Please note that you need a credit card (VISA, MasterCard, American Express, Diners Club) and your pin code to draw money. At some ATMs you can even draw money with a Maestro card. - Credit cards are also widely accepted in bigger shops in Namibia and bigger towns in Botswana but as there are still some shops and petrol stations that do not accept credit cards. Make sure you always have some cash on hand. Do I need vaccinations for this self drive tour? - As northern Namibia, Botswana and Victoria Falls are situated within a malaria area, we recommend some precautions. Please speak to your doctor or travel clinic about the different prophylaxis and their effects and side effects.